Make these tasty meatballs on Sunday night for a week’s worth of quick lunches. This no-cook salad is ready fast. Simply layer chickpeas, cucumber, arugula, feta, tomato and Cracked Pepper Turkey Breast Sticks. Drizzle with balsamic dressing. Layers of quinoa (a newly popular grain packed with protein), turkey bacon, spinach, almonds and sliced strawberries are topped with a lemon poppy seed dressing. Ground turkey in a salad? Yes. And you’ll love it. Mixed with edamame, mandarin oranges and more, this flavorful salad keeps you satisfied until dinner. This all-natural* snack packs 5g of protein with just 25 calories. Wrap lettuce leaves around deli turkey and cut vegetables. Get the turkey fresh from the deli counter and ask for it sliced thin! 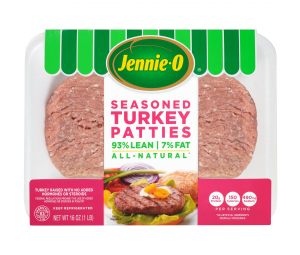 Turkey bacon has 60 percent less fat and sodium than USDA data for pork bacon. 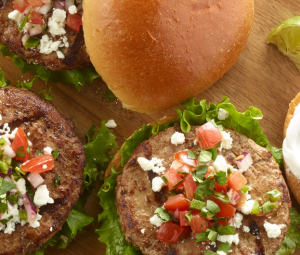 Pile it high for a super-quick, super-tasty lunch. 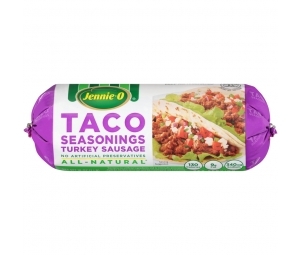 Lean turkey sausage leaves you feeling smart and your kids feeling full. 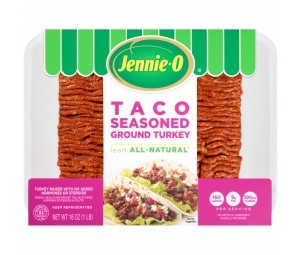 Cook up extra Jennie-O Lean Taco Seasoned Ground Turkey for taco night and use it in lunchboxes all week long. These disassembled tacos include leftover Lean Taco Seasoned Ground Turkey, chips, cheese and salsa. Wrap deli turkey around a cheese stick and chop into bite-sized chunks for a fresh take on your go-to sandwich. Pre-slice for easy dipping. Hack: Use a rubber band to hold the apple together to keep it from turning brown. Celery + Peanut Butter + Raisins makes for a fun, protein-rich snack for your wee ones.